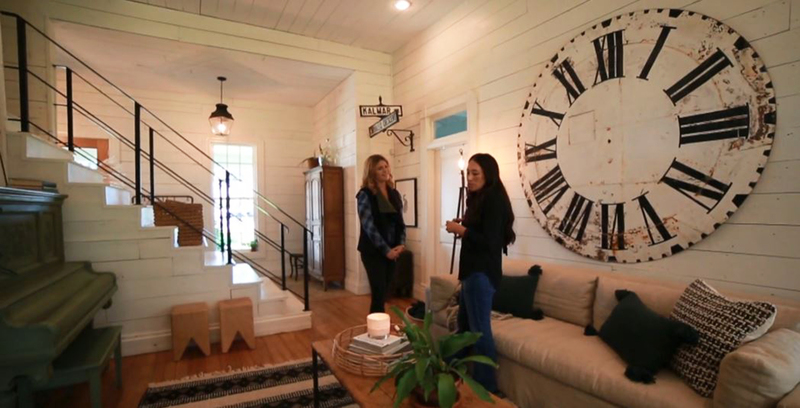 Joanna Gaines is known for the warm and welcoming home designs she creates for other people. She recently shared some of her tips for creating memory-making spaces when she opened up her own home to TODAY for an exclusive tour. 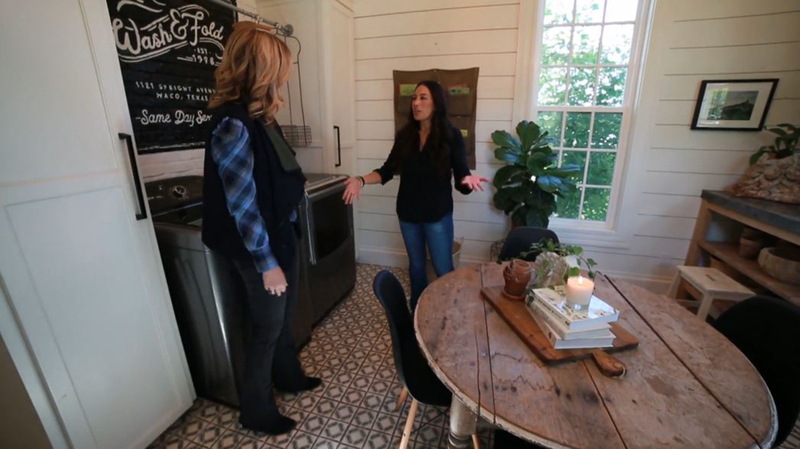 "This is going to sound so dorky, but it's like a big hug," the "Fixer Upper" star said, explaining why she loves her Waco, Texas, farmhouse so much. "I just love being home. I feel like everywhere I look there's a story or there's a memory." Joanna said the trick is to create spaces where everyone feels welcome and at home. She said she learned a lesson early in her career that eventually helped her develop the simple, elegant but functional style that has made her famous. "I was trying to create these perfect spaces for my clients but then even perfect spaces for me and my home. And I realized really quick that you can't live in that. That's not real life," she said. "Little things that feel intentional," she said. 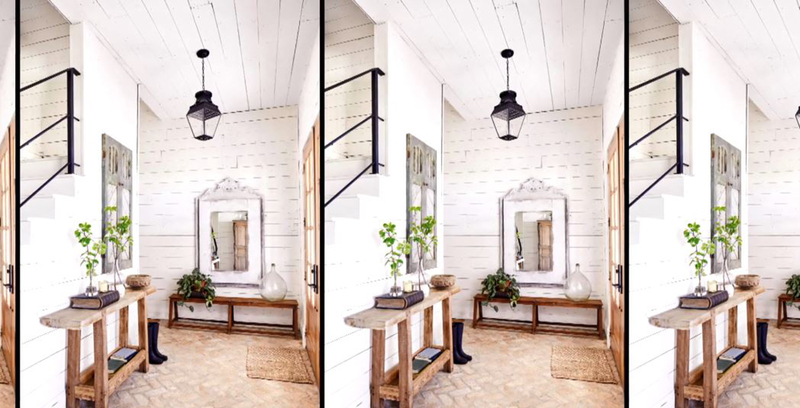 The first steps inside her farmhouse are into a carved entry space filled with plants and large mirrors. But you don't need a designated room to feel like you've stepped into a home, just some purpose, she told TODAY's Jenna Bush Hager. "And so even if that means a table. It doesn't have to be this grand foyer. It's just the idea that, 'Hey, I can set my keys down.' It's just that nice, warm welcome," she said. Joanna, who describes her designing tips and philosophy in her new book, "Homebody," said she considers her family's living room the heart of the home. "I didn't have a ton of space to work with, but there's something about that that I love," she said. "The pieces in here are really special." 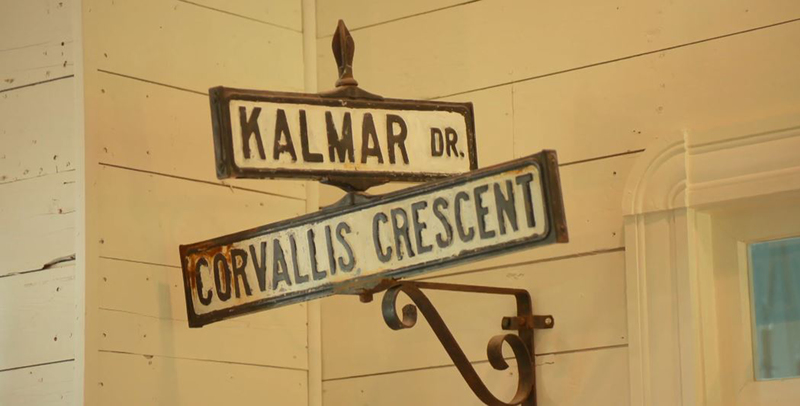 Among her favorite pieces are vintage street signs she and her husband, Chip, found in New York on their honeymoon. Another is the huge timepiece that hangs on the wall. "This old clock, one of my favorite pieces in the house," said the mother of five. "I think anytime I'm home with the kids, time kind of stands still. 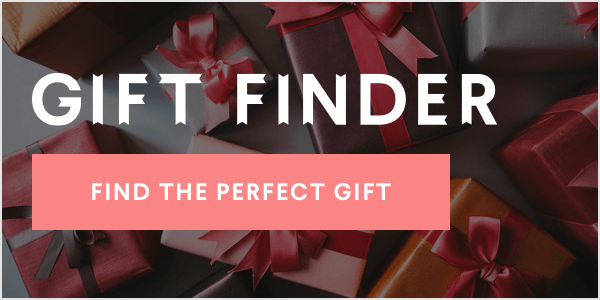 And I feel like just always remember just what a gift time is." 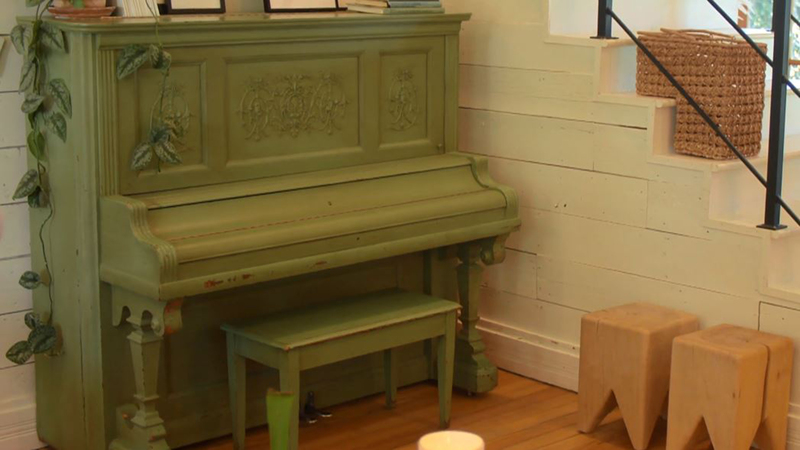 And while the room's color scheme is kept in simple black and white contrasts, there's one standout: a large green piano. "Something about that piano — there's a playful vibe to that," she said. "So I felt like that was a fun thing to incorporate." Another room Joanna showed off during her tour was what Jenna called the "woman cave." It also happens to center around two appliances: the washer and dryer. "What I love about this space is the irony that it's the laundry room, but it's also one of my favorite rooms in the house," Joanna said. "This is where I read. This is where I write. This is kind of my space." And yes, it's where she does laundry. "And it smells good. It smells fresh. But I'm like, if you're going to have to do a chore, why not do it in a room that you love?" she said. "Whether that's a chair in the corner, with a little lamp, and a side table, or creating a room that's inspiring to you, I think it's important that we have a space that's ours. At the end of the day, we can kind of go in, and regroup, get re-inspired." 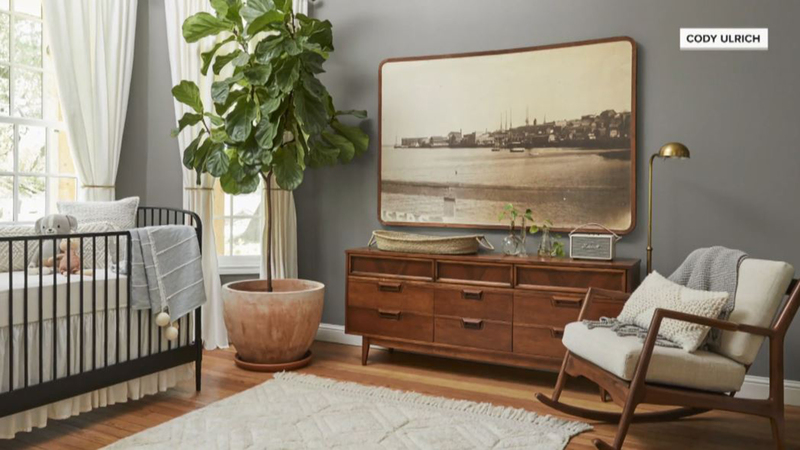 The room many people have paid close attention to lately is the nursery, home to baby Crew, the newest addition to the Gaines family. She and husband, Chip, welcomed their fifth child in June, and she previously provided a peek inside the room of on the pages of her "Magnolia Journal" magazine several months ago. Joanna explained to TODAY some of the reasons she went with a simple, but elegant design when it came to her youngest son's room. "I love when nurseries can be pretty neutral and soft. I love antiques. I love a little bit of some modern elements. And so that's all kind of tied in there," she said. "And I think the biggest thing is his book wall, with a ton of books from family and friends. The kids love to read to him in this little rocker. So it's just a sweet space." For her older kids, there's the perfect playroom upstairs. 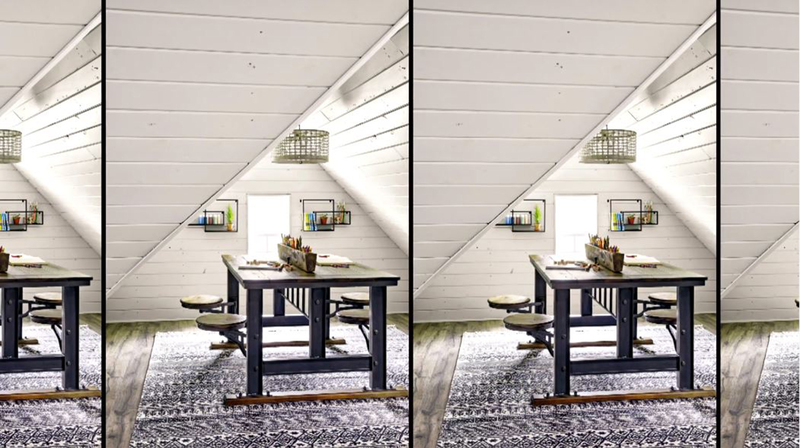 Joanna and Chip converted unfinished attic space into an area where the kids can get creative or just relax, surrounded by bright light. "Kids love nooks and crannies," she said of the "fun spot" "They love sitting in this little nook." In the end, Joanna said her goal was to create "intentional" spaces to be filled with memories by her family. 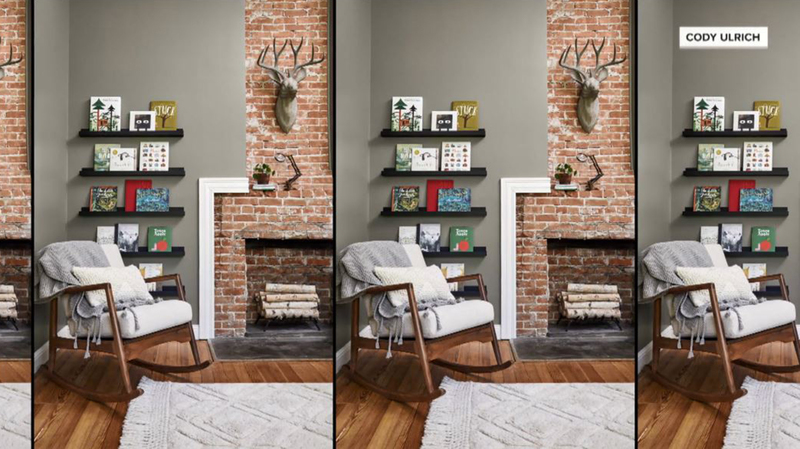 "This wasn't about putting stuff on the walls, and making everything feel pretty and nice," she said. "It was really about trying to create this space where they're thriving, where they feel at home, and that they don't ever want to leave."